Cpt Fragola and his Fly Fishing day on the mediterranean sea. The morning did not start very well right away, with only a few forage fish and very “indifferent” fish. My companions did so many launches, but with no result, at that point I had not even tried yet, to give a chance to my fishing buddies to catch something. 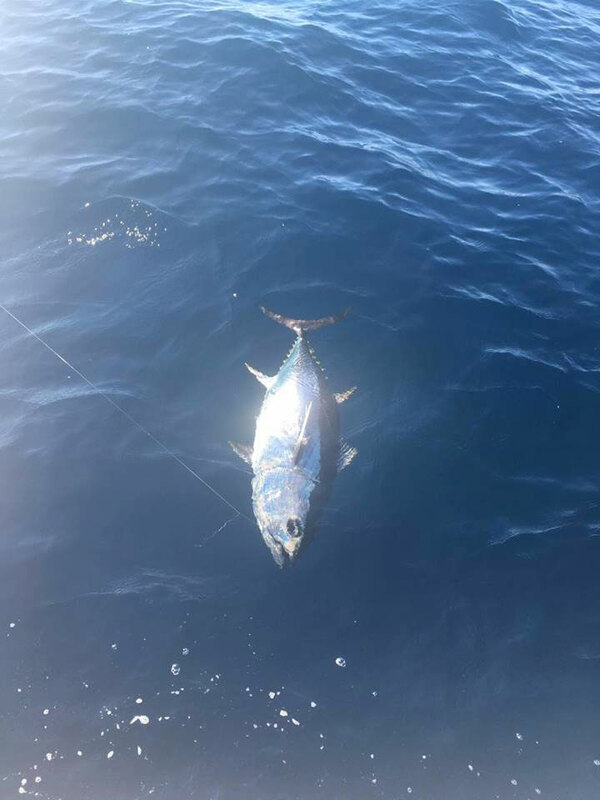 We are at the beginning of December, and therefore at the end of the fishing season of the bluefin tuna, or at least here in the area where I regularly fish, located northeast of the Mediterranean. I did not even have time to finish to say it, that I began to see the bottom of the coil. In just a few more than 15 seconds the fish had taken with it nearly 350mt of backing line, I told Emanuele to follow it with the boat as fast as possible, but the fish did not seem to want stop.We went on about 35 minutes chasing the fish to try to catch up, but every time that we managed to get closer, it swam away again, until it decided to place itself at circa 90 meters underneath our boat. 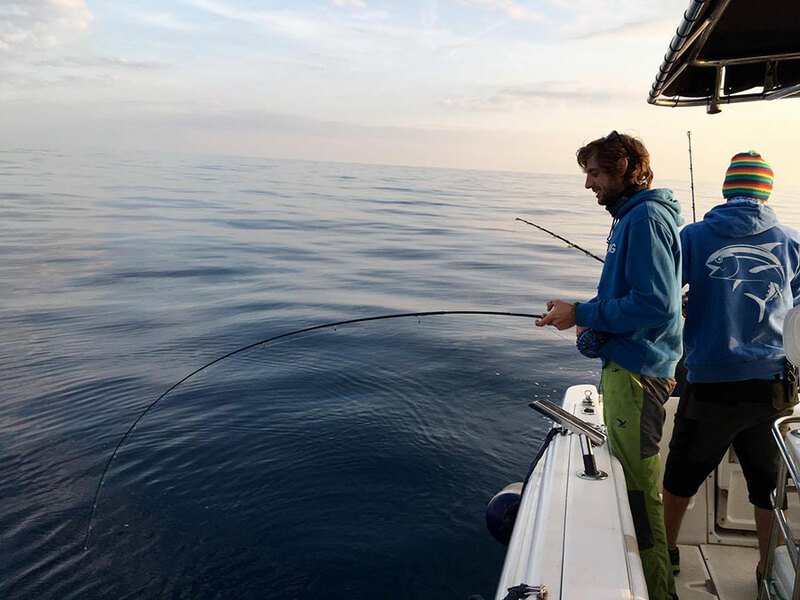 This is a typical behaviour of the bluefin tuna, especially if caught in these areas.So, I found myself to have to try to pull a fish out of waters with definitely a not suitable equipment, in a fight to the limit, with the tip of my rod constantly in the water. 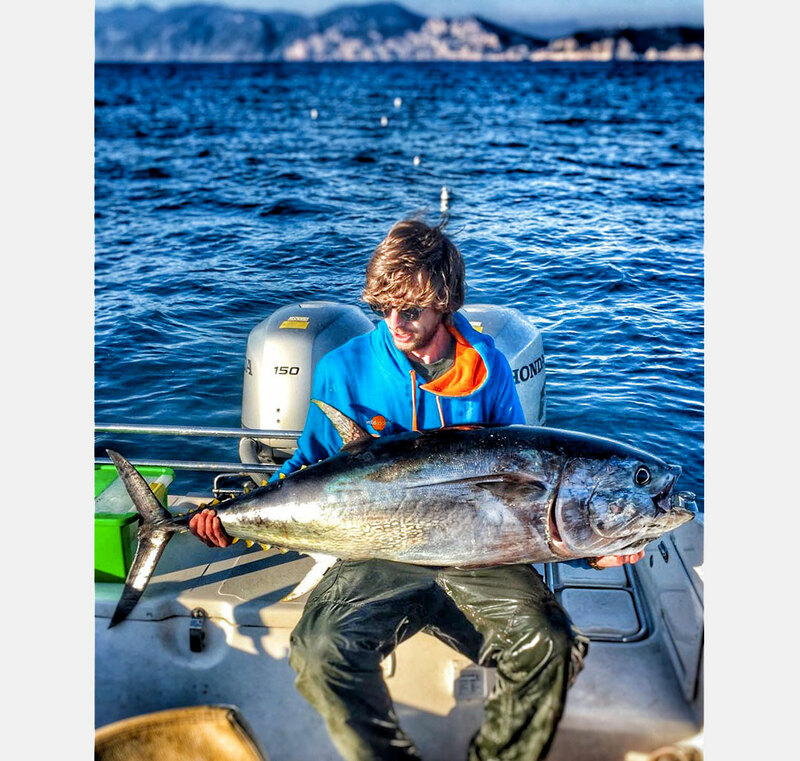 People that practise fly fishing in the sea know how hard it is to recover even a small/medium size fish, let alone a big tuna!! !But until then I could not really understand it, this mostly due to little knowledge of the equipment used. Nearly 2 hours went by before we could see that well-known silver glow under the boat, and another 15 minutes before we could pull it out of the water. Finally, the fish was defeated and in all its glory has shown us once again that him, in the blue see, is the king!After the usual photos and a long oxygenation (for us! ), we returned this splendid specimen to its kingdom, and trust me guys, after all this, seeing it going back into the blue sea was the most beautiful thing ever! 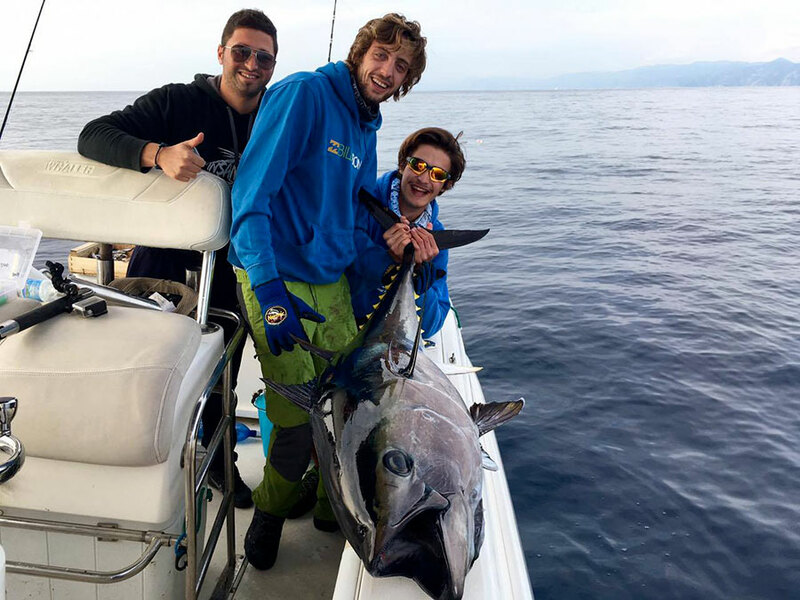 Now that a couple of months went by, I believe this capture was the combination of lots of luck and the result of our massive experience with these fish, they are real “powerful trains”!The credit also goes to my teammates Gianpaolo Andreotti and Emanuele Manca who were indispensable for the success of this venture... without their help, I would not have ever managed. I recommend this experience to anyone, but always with great care. Follow me on Wild Society App. I hope I will have soon some photos and some stories from my favourite river to tell you! !